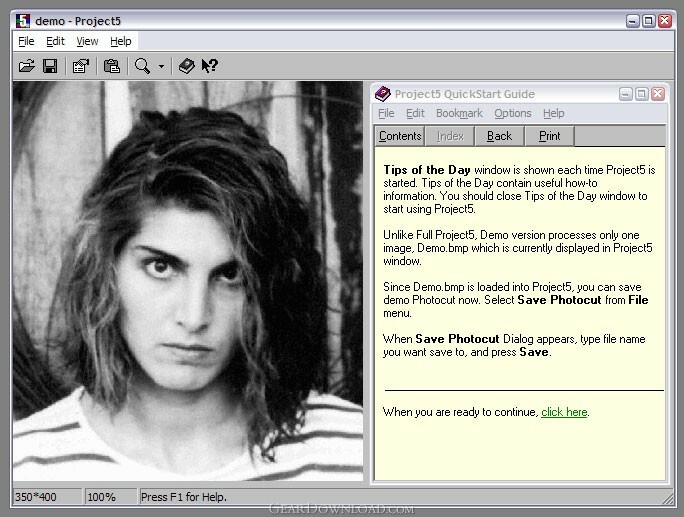 This download (project5_demo.exe) was tested thoroughly and was found 100% clean. Click "Report Spyware" link on the top if you found this software contains any form of malware, including but not limited to: spyware, viruses, trojans and backdoors. PixBuilder Studio 1.31 - PixBuilder Studio is graphic software for photo editing and images manipulation. RPE Photo 3.0 - Easy Digital Photo Resizing, Printing and Enhancement. Learn in Minutes! Able Fax Tif View 3.17.2.20 - Multi-page tif, pdf, eps, ai, dcx viewer, editor and converter.